David C. Bryant, Jr. is the Director of Finance and HR. He is a native of Covington, graduated from Covington High School and attended Dabney S. Lancaster Community College. 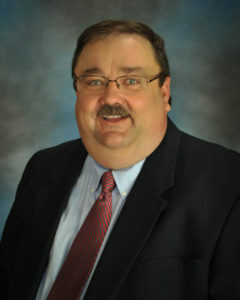 He has 29 years management and financial experience in various postions with the U. S. Postal Service. 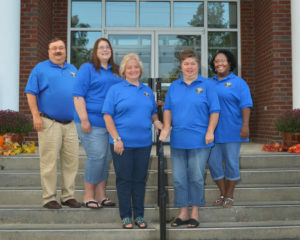 The Central Accounting Office is responsible for maintaining all financial records of the city, establishing and maintaining a comprehensive budget system which provides financial management information to the City Manager and City Council so that sound financial decisions can be made, preparation of the annual budget for submission to the City Manager and City Council, processing all payrolls for the City of Covington, the School Board, and the Charles P. Jones Memorial Library, processing all invoices for payment, purchasing, necessary approvals and authorizations for prompt payment, processing all general disbursement checks for the City of Covington and the School Board, miscellaneous billings and receivables, water, sewer and garbage customer services and billing, and establishing new funds and accounts in conformance with billings and receivables, water, sewer and garbage customer service and billing, and establishing new funds and accounts in conformance with standards prescribed by the Commonwealth of Virginia. Contact phone number (540) 965-6310. The Central Accounting Office staff consists of the following additional employees. Left to right: David Bryant Jr., Sylvia Brown, Susan Walton, Jennifer Markham and Yvette Goode. 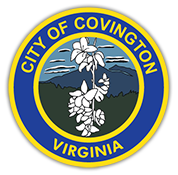 Jennifer Markham, Accounting Clerk; Water, Sewer & Garbage Customer Service and Billing - Jennifer graduated from Covington High School and Dabney S. Lancaster Community College. She has completed additional computer training in addition to her years of experience in local government. Contact phone number (540) 965-6314. Sylvia Brown, Accounting Clerk; Accounts Payable, Invoices and Payments - Sylvia graduated from Covington High School and Jackson River Technical Center, completing two years in the accounting program. She is a graduate of Dabney S. Lancaster Community College and has since continued her education in the computer/accounting field in addition to her years of experience in local government. Contact phone number (540) 965-6312. Susan Walton, Accounting Clerk II; Miscellaneous Billing and Receivables - Susan is a graduate of Union High School and National Business College in Roanoke with an Associates Degree in Computer Science. She has continued her education with accounting training since graduation in addition to her years of experience in local government. Contact phone number (540) 965-6305. Yvette L. Goode, Accounting Clerk, Payroll and Benefits Administrator - Yvette graduated from Covington High School and is a 1989 graduate of Saint Paul's College with a BA Degree in Business Administration. Contact phone number (540) 965-6315.